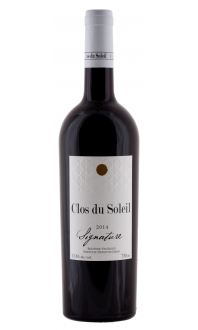 Sorry, Clos du Soleil does not ship wine to United States. 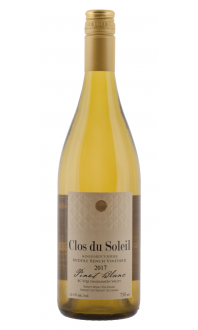 Clos du Soleil's Fumé Blanc is a full-flavoured, aromatic take on Sauvignon Blanc and Sémillon. 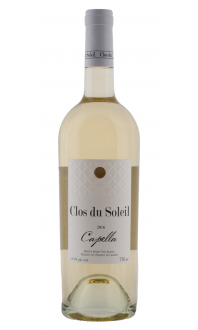 The nose of this wine immediately envelops the taster in ripe fruit aromas of grapefruit, apple, pear, and ripe lemons, with notes of gunflint and the beautiful floral notes of lilac in full bloom. 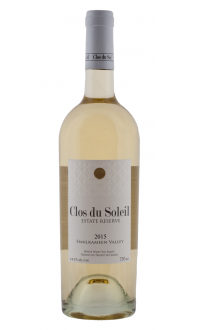 On the palate the wine is full bodied with a rich mouthfeel, incorporating flavours of ripe apples and pears, complex layers of citrus including characteristic varietal flavours of grapefruit, as well as a subtle hint of oak.